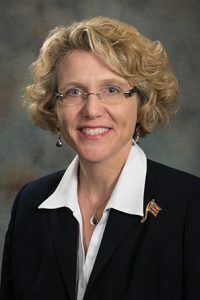 LB323, introduced by Bellevue Sen. Sue Crawford, would update eligibility standards for Nebraska’s Medicaid Insurance for Workers with Disabilities program—commonly referred to as the Medicaid buy-in program—from federal Balanced Budget Act standards to more recent federal Ticket to Work and Work Incentives Improvement Act standards. Crawford said the program applies to individuals with disabilities who, because they receive Medicaid and are accessing health care, are able to work and earn income. The program allows them to pay a premium on a sliding scale in order to maintain Medicaid coverage, she said. “This [bill] gives the state more flexibility in our ability to provide coverage for working individuals with disabilities and streamlines the eligibility process while retaining current income eligibility standards,” Crawford said. She said a similar change in Kansas resulted in a 41 percent drop in Medicaid expenditures over a four-year period. As introduced, the bill would have removed asset limitations in the program. A Health and Human Services Committee amendment, adopted 37-0, would retain current asset limitations. It also would retain the 7.5 percent premium cap specified in the original bill. Crawford said the changes outlined in the amendment should eliminate the bill’s fiscal impact. 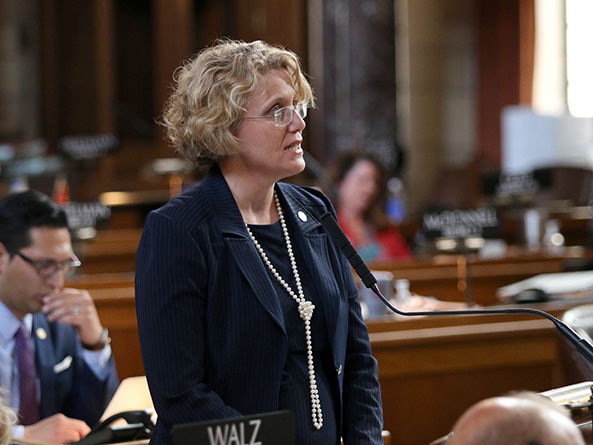 Omaha Sen. Sara Howard, chairperson of the committee, said the Medicaid buy-in program simply would be easier to administer under the amended bill. Following adoption of the committee amendment, lawmakers voted 40-0 to advance LB323 to select file.